Among the top 100 global universities, MSU is home to top-ranked graduate programs and world-leading research centers that attract an international community of scientists and graduate students. With a culture of high performance that guides future planning, MSU continues to invest in its academic programs while pushing the boundaries of discovery and forging enduring partnerships to solve the big problems of our time. MSU is a member of the prestigious Association of American Universities, a group of 62 U.S. and Canadian universities widely regarded as the top research-intensive institutions in North America. MSU is sustaining strengths and investing in the future of its academic programs through its Global Impact Initiative (GII). Through the GII, MSU will recruit more than 100 new faculty investigators to our research team to help accelerate finding solutions to the world’s challenges. Areas of emphasis include: Computation, Advanced Engineering, Genomics, Plants/Food/Environment, Antibiotic Resistance, Precision Medicine, and Advanced Physical Sciences. For students, the Neighborhood Student Engagement Centers are providing the resources they need to succeed academically, see the world from global perspectives, learn by doing, and to live a healthier life. MSU has 23 undergraduate and graduate programs placed in the top 20 nationally by the latest U.S. News & World Report rankings. These include nine No. 1-ranked programs. MSU is among the top 10 research institutions producing U.S. Fulbright scholars and students for 2017-18, according to the Chronicle of Higher Education. 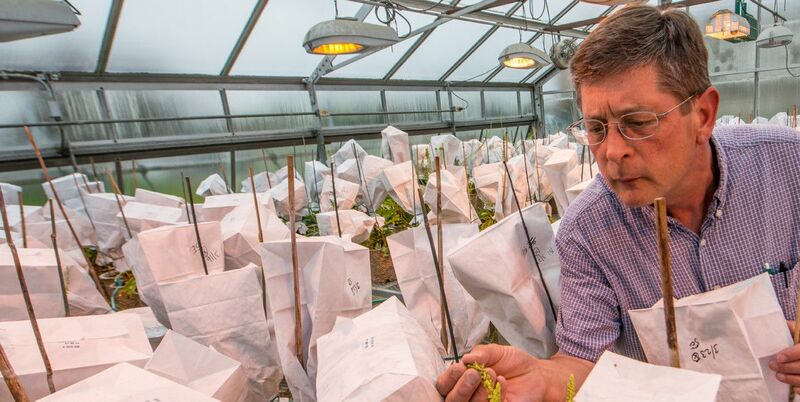 MSU AgBioResearch encompasses the work of more than 300 scientists in seven colleges with grants in excess of $60.2 million. These researchers, in on-campus laboratories and at 13 outlying research centers across the state, investigate topics that range from agricultural production, alternative energy and biofuel production, food safety and environmental stewardship to childhood obesity, community development, and the quality of life of Michigan youth and families. The Facility for Rare Isotope Beams is a $730 million facility, with Congress approving $97.2 million for 2018. The FRIB will enable scientists to make discoveries about the properties of these rare isotopes in order to better understand the physics of nuclei, nuclear astrophysics, fundamental interactions, and applications for society.